Ryan and I ran the Awesome 80s Run this morning down around Fiesta Island. 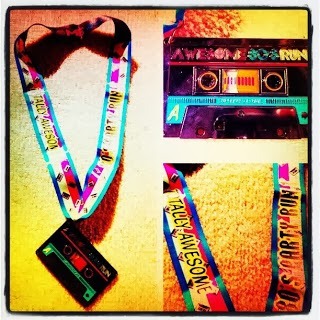 We ran this race last year [recap of that race HERE] and had a blast - not to mention got AMAZING HUGE cassette tape medals. It was PRETTY CHILLY this morning (we actually jogged from the car over to the starting area about .5-.75 miles away just to try to warm up a little) - I think it was about 48* when we started. 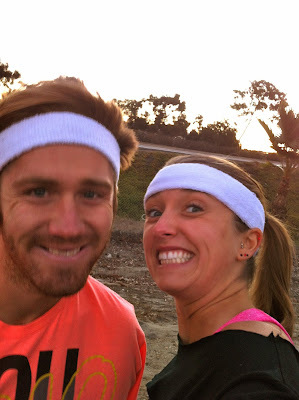 Thankfully once the sun started to come up it warmed up a bit (but we probably should have grabbed our sunnies since the last mile or so we were running into the rising sun). 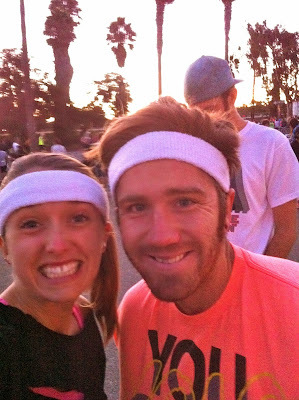 We grabbed a couple pre-race pictures and headed to the starting line. I was originally planning on just going out to have fun, but after our first mile (which was way too fast at 8:35) I figured we might as well try and kick it. 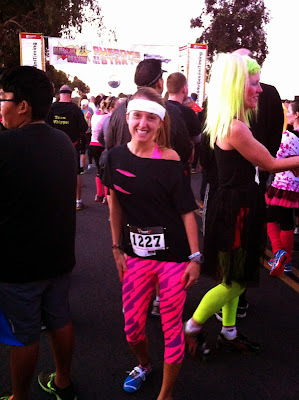 I actually ended up coming in 98th place overall and 42nd out of the ladies (10th out of 20-29 females). 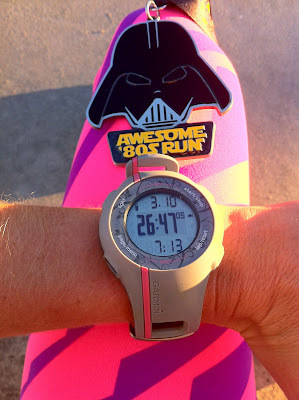 My previous 5K PR (personal record) was 27:02 and today I BEAT THAT BY 15 SECONDS with a 26:47 finishing time. Ryan definitely could have gone faster (he is definitely becoming a speedster when it comes to short distances) and really pushed me to stick with it to finish strong. Of course we had to grab a couple PHOTO-OPS after we finished the race! Darth Vadar medal and a Delorian! 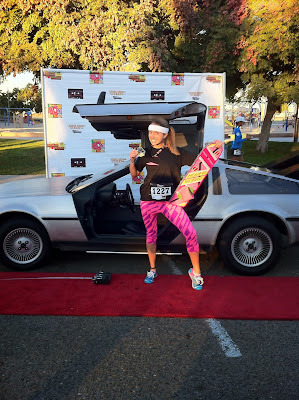 This is a TOTALLY TUBULAR race! If it comes near you - I would DEFINITELY suggest signing up - it is RADICAL! If it comes back for a third year, you better believe we will be there again! Hot Chocolate PROMO Code - Update!